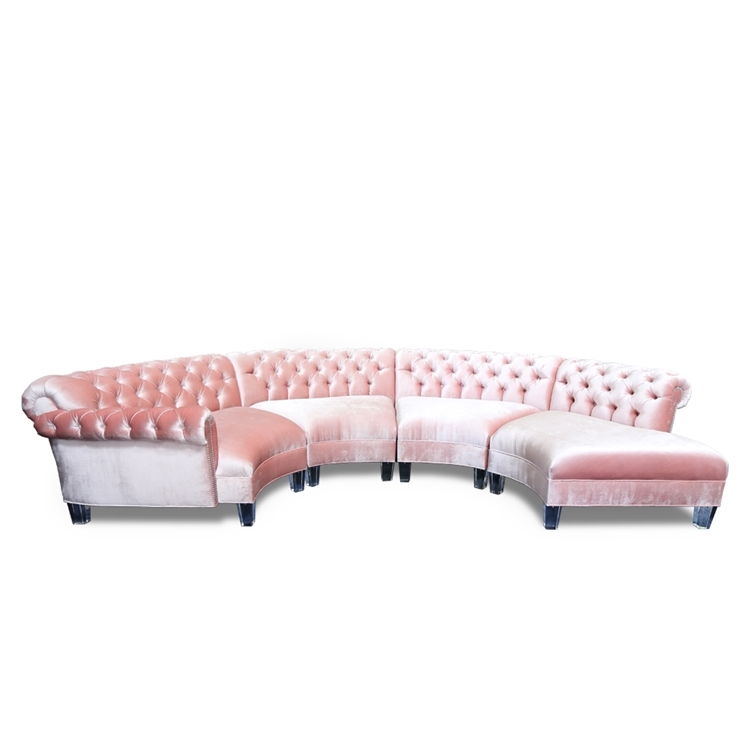 L 140" | OVERALL D 86" | D 43" | H 31"
SEAT D 27" | SEAT H 18"
SHIMMER "CORAL" VELVET WITH SHINY SILVER TACKS AND ACRYLIC LEGS. Item is sold as shown online. Sectional ships in 4 boxes that weigh approximately a total of 489 Lbs. Call 323.256.2800 or email info@hautehousehome.com for custom options.